Located in Bend’s desirable Westside, Columbia Street Retreat is walking distance to everything there is to love about Bend. Fifty steps in any direction will take you to one of the city’s many attractions; Drake Park, downtown, great dining, coffee shops and bakeries, gourmet grocery stores and many other conveniences. This clean and spacious, one-bedroom house sleeps up to four people in a relaxing, private setting with a reserved alley-access parking spot. 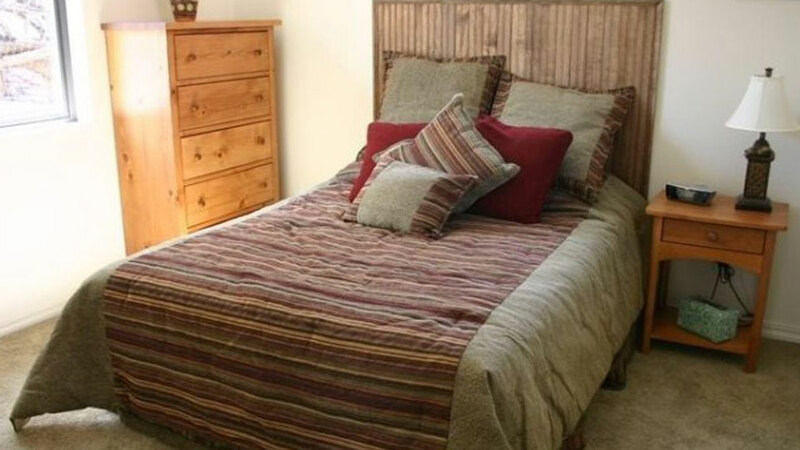 The cottage has all the amenities you need for a comfortable stay. Enjoy a gas fireplace, electric wood stove heater, private yard, flat screen TV with cable and DVDs, free internet access, books, fully stocked kitchen with stainless steel appliances, washer/dryer and all the little things that make you feel at home. Whether you’re headed to a concert at the Les Schwab Amphitheater, dining at one of Bend’s incredible restaurants, riding your bike along the river or at nearby Phil’s Trail, enjoying the Munch and Music summertime concert series in the park, attending Indie films at the Bend Film Festival, or enjoying one of our other outdoor festivals, you can do it all without ever getting into your car. Columbia Street Retreat is the perfect location for your Bend vacation!